Today marked the final day of trials. James won his first heat but fell in his second against world champ Kevin Langeree! Pretty tough match up for the trials! “Kevin Langeree and James Storm Carew won the first two heats of the day and went straight through to the final round of the trials where they would come face to face to decide which of them would progress to the main event. Keahi De-Aboitiz is still in and once again looking strong scoring 2nd highest combo, behind Airton Cozzolino. Swell is dropping off tomorrow but forescast to pump for the finals fingers crossed! 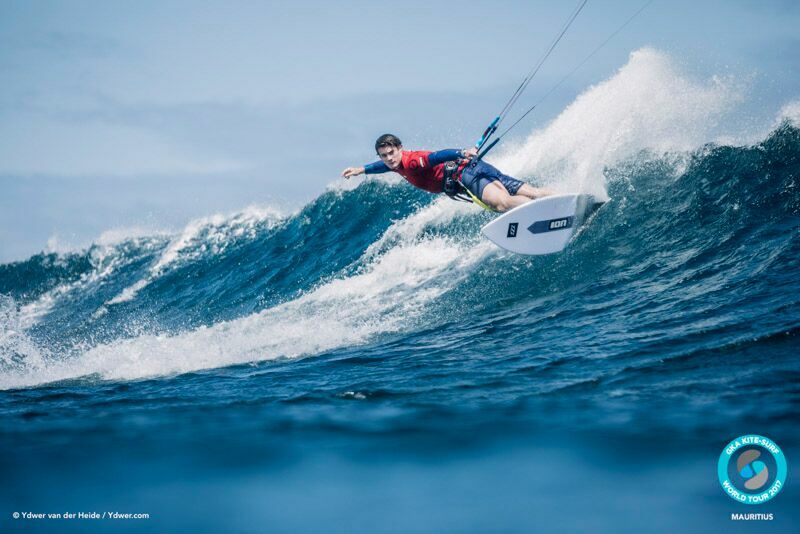 Sky Solbach can shape a mean board and also shreds on a kite!